If you are pursing a lawsuit for neglect at a nursing home, you or your loved one is entitled to a presettlement cash advance. What is a presettlement cash advance? It’s being able to access a portion of the money you and your attorney expect to win in your case. Interstate Lawsuit Funding provides the a service of giving plaintiffs a cash advance on your upcoming settlement. Why? Because we know life goes on while you’re waiting for your case to settle. There may be expenses to cover, bills to pay, obligations to meet, or maybe you just want to treat yourself to something special. there really are no rules to how you can use the money….it’s yours. For victims and their families, the law is on your side. If you don’t have a lawyer, get one. Then call us. 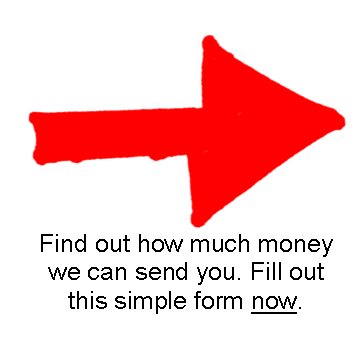 We can send you money simply based on the merits of your case. You don’t need good credit. There’s no credit application at all. All you need to have is a good case and a lawyer.